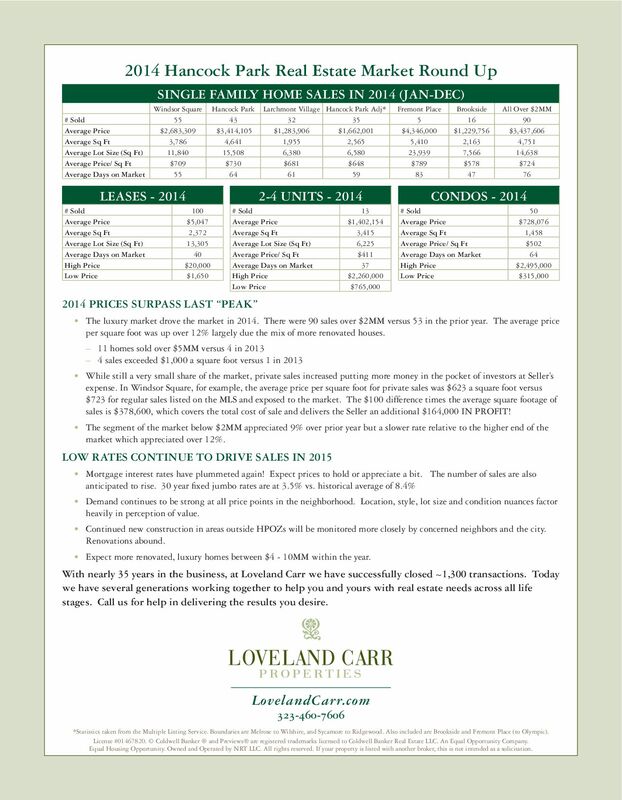 The luxury market drove the market in 2014. 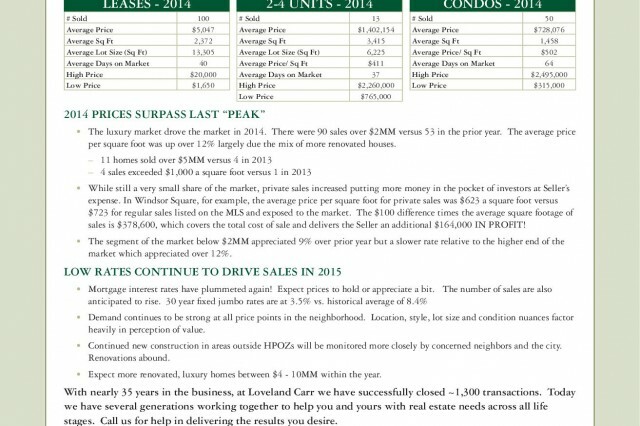 There were 90 sales over $2MM versus 53 in the prior year. 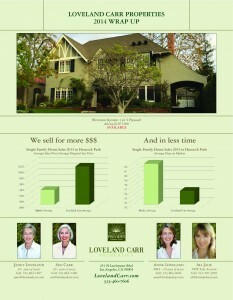 The average price per square foot was up over 12% largely due the mix of more renovated houses. While still a very small share of the market, private sales increased putting more money in the pocket of investors at Seller’s expense. 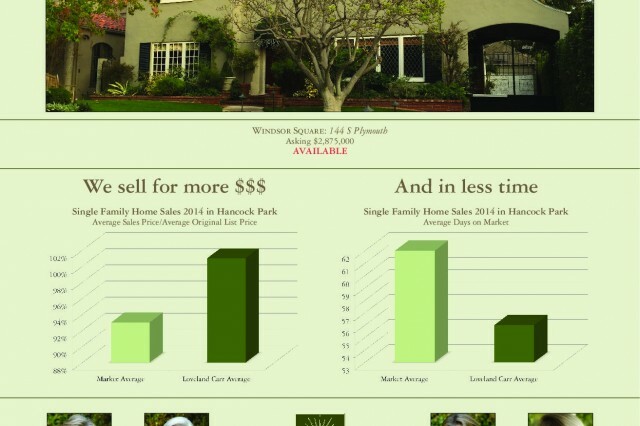 In Windsor Square, for example, the average price per square foot for private sales was $623 a square foot versus $723 for regular sales listed on the MLS and exposed to the market. The $100 difference times the average square footage of sales is $378,600, which covers the total cost of sale and delivers the Seller an additional $164,000 IN PROFIT! 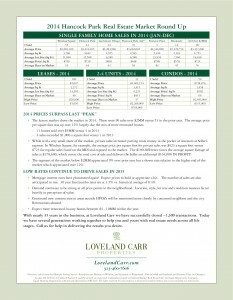 The segment of the market below $2MM appreciated 9% over prior year but a slower rate relative to the higher end of the market which appreciated over 12%. Click the images below to see the latest market wrap up.